The material on this web site is provided for educational purposes only and is not to be used for medical advice, diagnosis, or treatment. As the leaves change color from green to gold and red, and we dig our boots and comfy sweaters out of the closet for chillier days, there is an excitement in the air that we don’t feel at any other time of year. As soon as we’ve said goodbye to the strawberries and peaches of summer, a frenzy of fall flavors arrives on the scene that make us giddy for pumpkin everything, apple anything, and spices to make us feel warm and cozy. Add to that cranberries, chai, maple, caramel, hazelnuts, and cider, and we’ve got a lot to celebrate. These Shakeology smoothies feature a variety of fall’s favorite flavors, including some you might not have considered. What autumnal ingredients do you put in your smoothies? Tell us in the comments, and we may feature your recipe! 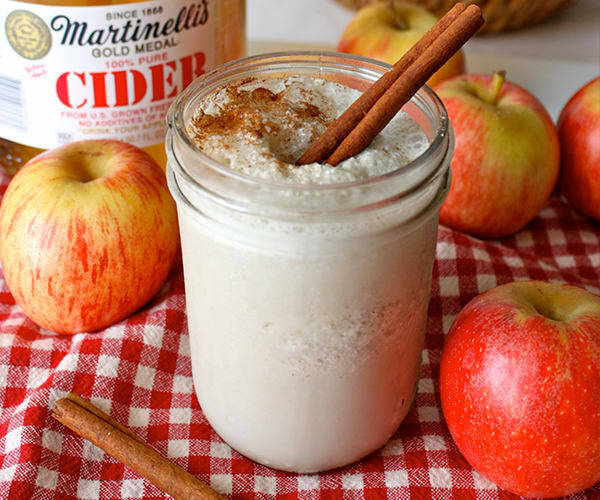 Apple cider and cinnamon are evocative fall flavors that make this smoothie a favorite when the temperature starts to dip. Look for all-natural cider with no added sugar. There is a full serving of pumpkin in this yummy, pie-flavored smoothie with chopped pecans. But it’s not really pie, so you can indulge in a glass for breakfast, or whenever you want. Pumpkin is an excellent source of fiber, which will help to keep you feeling satisfied until your next meal. 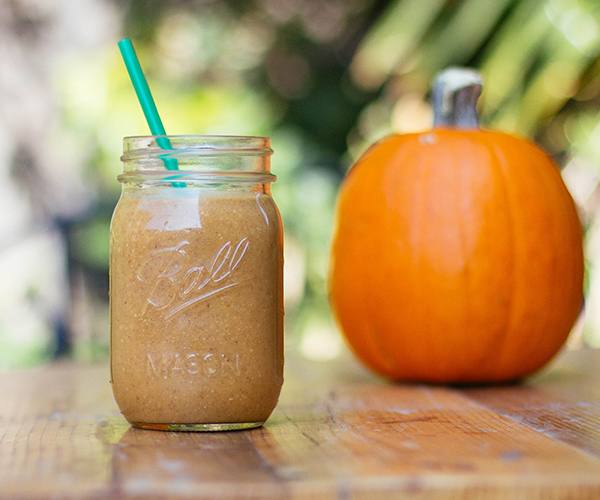 We took one of fall’s trendiest flavors, chai spice, and turned it into an enticing smoothie. 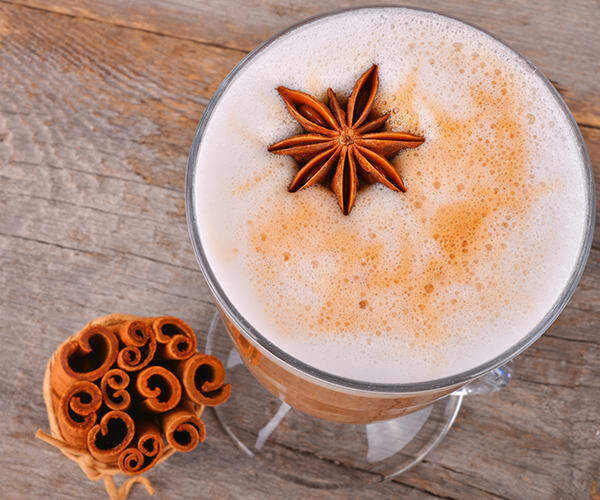 Creamy Vanilla Shakeology is blended with brewed chai tea (let it cool first), allspice, and a touch of honey to create a luxurious sipping experience. 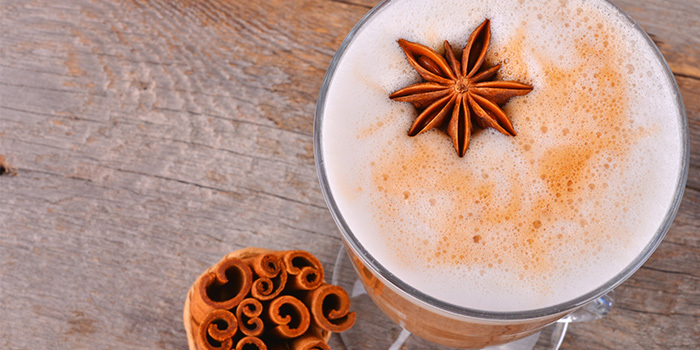 Make yours taste like a chai latte by using Café Latte Shakeology instead. Starbucks has a new fan favorite in their blended coffee beverage lineup called a Chile Mocha Frappuccino. While the flavor may be to die for, the empty calories and sugar make it a diet buster. That’s why we made our own healthy version of the drink using Shakeology. The result is like a zesty combination of Mexican hot chocolate and Mexican coffee (minus the tequila, of course). This might be your new favorite way to warm up on chilly autumn mornings. 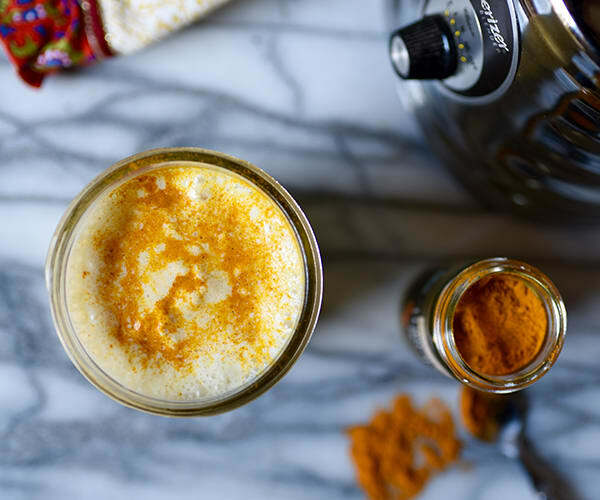 With just a spoonful of the vibrantly-colored spice turmeric, your Shakeology smoothie can become even more powerful. Turmeric contains the phytonutrient curcumin, which has also been revered for centuries in Asia for its medicinal properties, many of which are now being validated by modern science. Its mild, slightly bitter, floral flavor will help mellow the sweetness of Vanilla Shakeology, giving it a soothing, slightly exotic taste. Fall and winter can be filled with temptations that make it tough to stick to your diet. 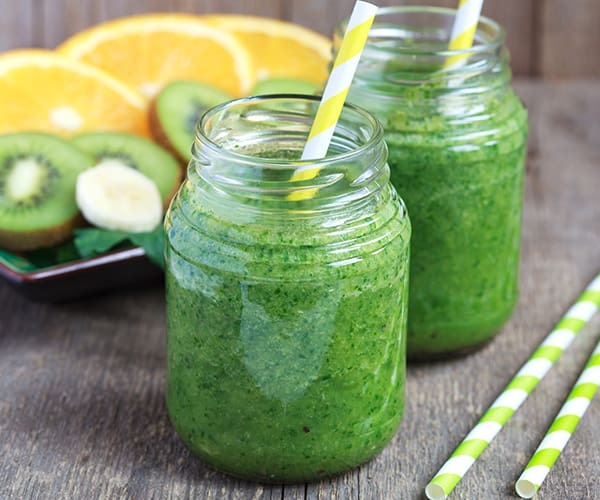 If you start to feel like you’re overdoing it, turn to this vibrant green smoothie to pack a ton of important nutrients into one meal. It is a delicious blend of Shakeology, fall kiwifruit, and spinach to kickstart your day with energy. 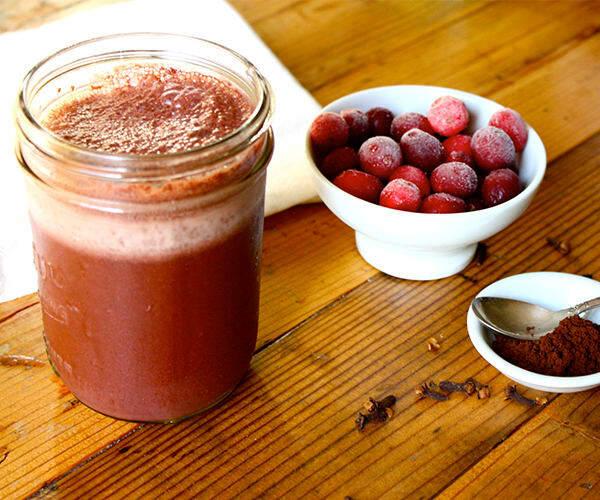 This healthy shake made with unsweetened cranberry juice is loaded with antioxidants. The sweetness of Chocolate Shakeology balances the tartness of the berries, and ground cloves give it a festive hint of mulling spice. Craving a caramel apple? 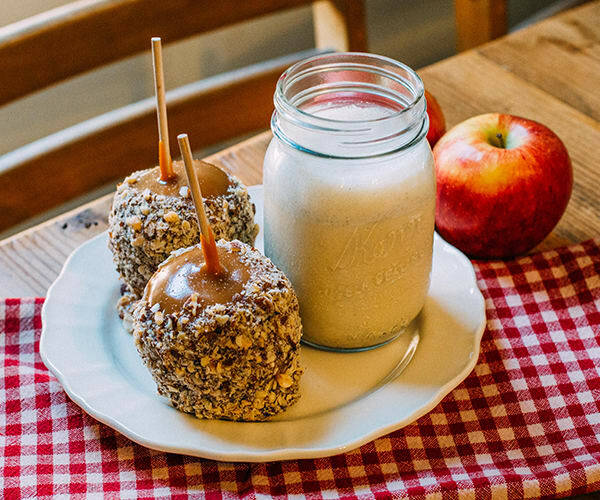 Skip the sugar rush, the sticky fingers, caramel cemented between your teeth, and the potential emergency visit to the dentist, and make this caramel apple smoothie instead. 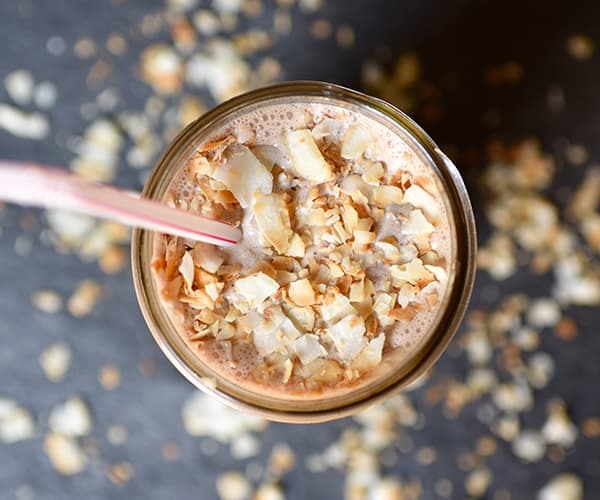 It uses unsweetened applesauce and caramel extract to capture the flavor of those candy-smothered treats, and it’s made with good-for-you Vanilla Shakeology. One taste of this combination and you’ll be a hazelnut latte fanatic. 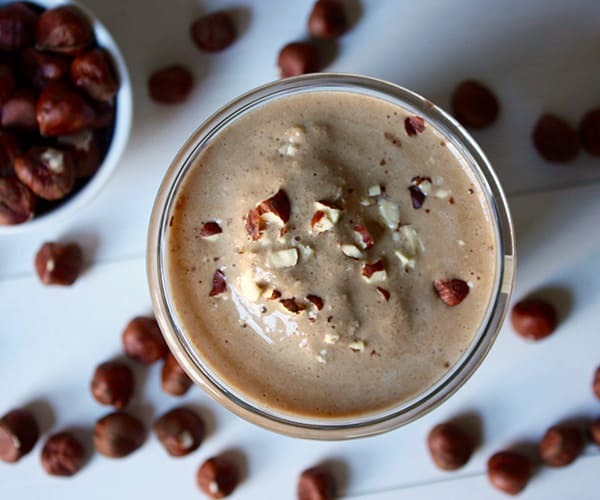 Chopped hazelnuts and a splash of hazelnut extract give it plenty of nutty flavor, which pairs perfectly with the mild coffee-and-cream flavor of Café Latte Shakeology. Love Nutella (who doesn’t)? Try this recipe with Chocolate Shakeology. Cookies for breakfast? Better not. 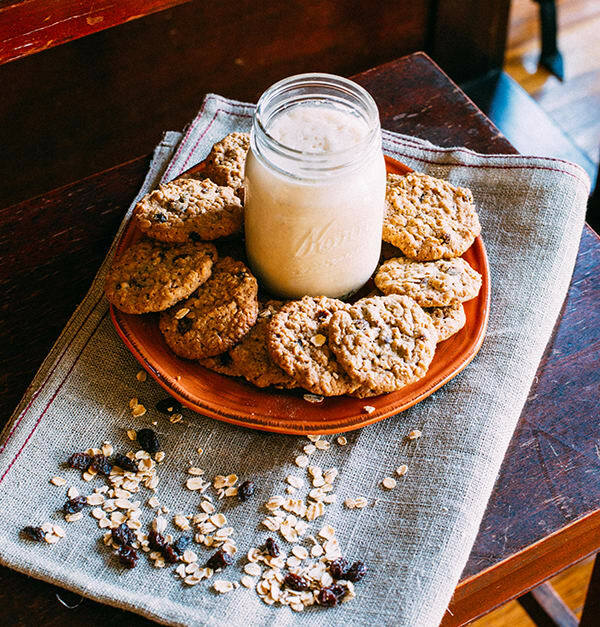 But this Oatmeal Raisin Cookie Shakeology can be breakfast any day. 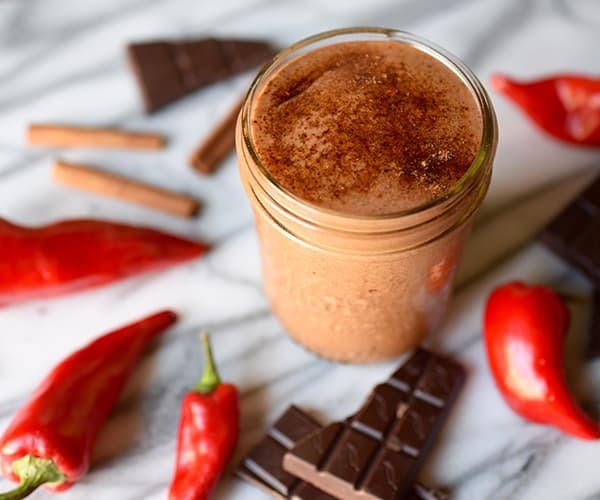 It takes the healthy ingredients that give the cookies their name, adds a dash of cinnamon for spice, and blends them into a sweet Vanilla Shakeology smoothie. The raisins break apart during blending, so they are distributed throughout the shake, adding raisin flavor to every sip. You could also swap the raisins for unsweetened dried cranberries to add seasonal flair to your smoothie. When Girl Scout Cookie season rolls around, we know it can take every ounce of self-control — and then some — to avoid devouring the sugary treats by the box-full. That’s why we created this craveable Chocolate Caramel Delight Smoothie recipe. It tastes like one of your favorite Girl Scout cookies, but it’s so healthy that you can enjoy it any time without sabotaging your diet. Next To Vote or Not to Vote?